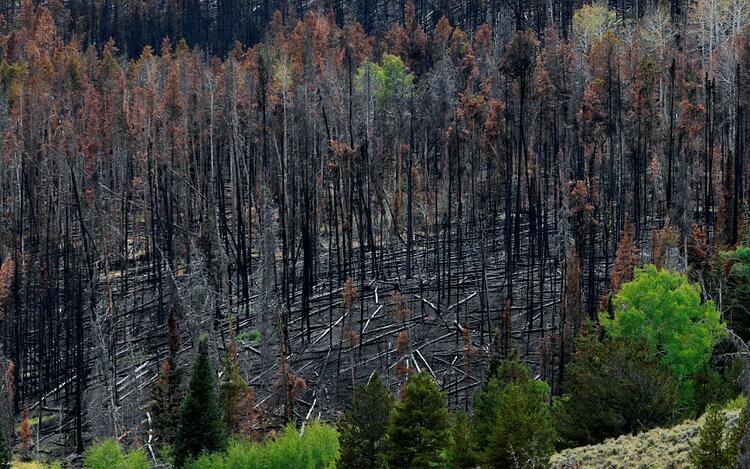 With wildfire season just a few weeks away in the Pacific Northwest (PNW), the amount of standing dead timber in western national forests is a real concern for both residents and the federal and state agencies that are tasked with fire suppression efforts and mitigating fire damage. Per a 2017 Resources Planning Act (RPA) Assessment update to the Forest Resources of the United States technical document, the situation in public, government-managed forests in the western US is dire. 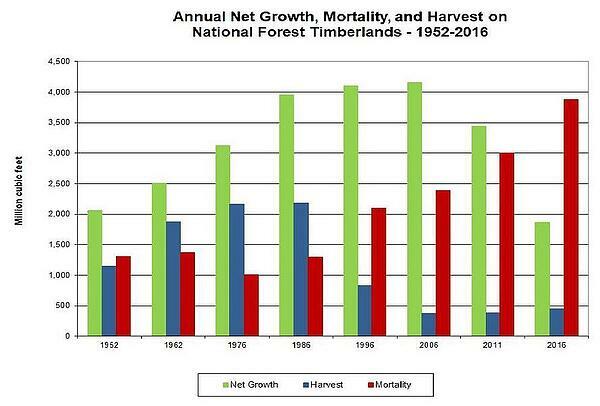 Based on new data published in this RPA, the U.S. Forest Service (USFS) says that forest mortality exceeded net growth on America’s national forest timberlands in 2016. The data come from the agency’s annual Forest Inventory Analysis (FIA) Program and include trees at least 5” in diameter. Forest growth was 48 percent of mortality, while timber harvests were a mere 11 percent of what is dying annually—and this trend is on the rise. The agency estimates that 6.3 billion dead trees were standing in 11 Western states in 2015, up from 5.8 billion in 2010. Roughly 20 percent of those trees were killed by bark beetles, although other causes of mortality include drought and disease. The obvious follow-up question is this: What are the federal and state governments—who are responsible for these millions of acres of forestland—doing to remedy the situation? Western forest mortality has surged in recent decades—so much so that California’s forests have actually become net carbon emitters. (Climate change activists are conspicuously silent on this topic.) 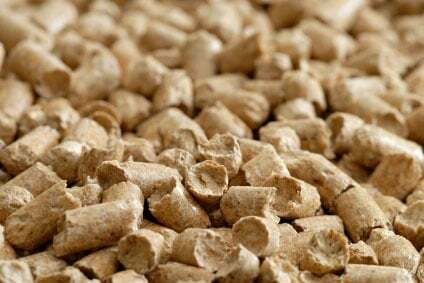 Greenhouse gas (GHG) emissions across the California economy were down by 1.5 million metric tons in 2015, the most recent year for which emissions data are available. However, per an estimate from the USFS, a single Fresno County fire produced 6.8 million metric tons of GHG, and other fires on federally-managed land within California emitted 16 million metric tons in that same year. The enormous (and growing) scale of these fires and their dangerous emissions seriously inhibit the ability of Western states to make any meaningful progress towards meeting climate change goals and cutting GHG impacts. The frustrating reality for the millions of people affected by these fires is that there are proven solutions that can mitigate fire risk and damage. The science has proven time and time again that active forest management can ease overcrowding, promote growth and help make our forests more resilient to potential destructive elements such as wildfire, insects and disease.